June 17th – Bike in Shapes’ 5th Birthday! The results are in and chewy! 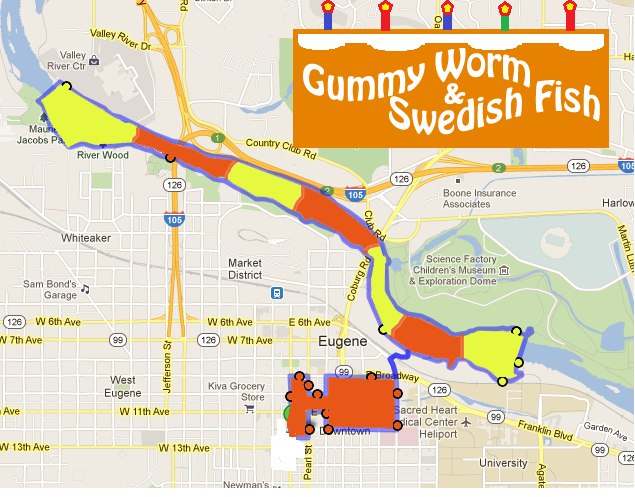 To commemorate Bike in Shapes’ 5th birthday, you voted to ride the timeless “Gummy Worm & Swedish Fish” shapes along a river loop. We’ll meet Wednesday June 17th, at 7pm at Oakshire Public House. $1 of all proceeds will go to benefit the Be Noble Foundation from 5pm-10pm. Thanks to Oakshire Brewing for supporting this cause. Be Noble was established honoring a dear friend and regular of Bike in Shapes, Erin Noble (pictured in center). 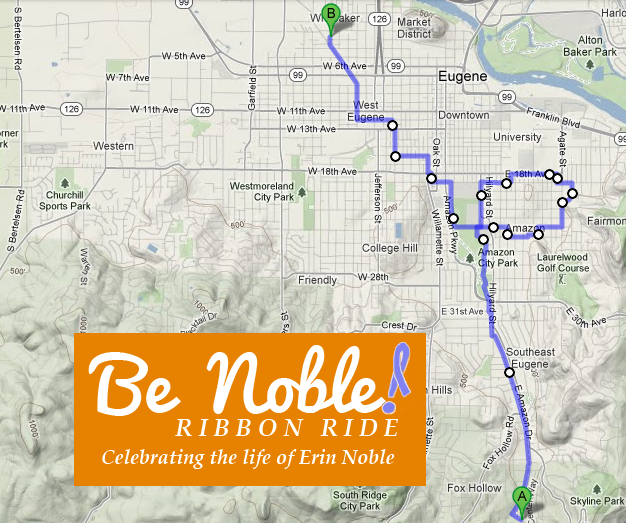 Be Noble promotes environmental stewardship and social causes in memory of Erin. With community and public support, Be Noble recently saved the Amazon Creek Headwaters and surrounding forest where Erin hiked regularly. June 17th is part of #NobleWeek. Give a bear hug, hike a trail, share something Noble. Be Noble. The time ha s been change from August 30th to Monday, September 3rd to accommodate a generous gesture from Ninkasi Brewing. 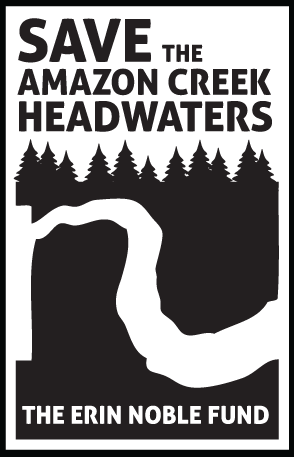 Their tasting room is donating a portion of the beer proceeds all day Labor Day to Erin Noble’s Fund to Save the Amazon Creek Headwaters. Ninkasi Brewing is donating 25% their tasting room beer proceeds all day Labor Day to Erin Noble’s Fund to Save the Amazon Creek Headwaters. Thank you Ninkasi for this generous gesture.